Complete your telemedicine services by integrating with DermEngine to provide specialized teledermatology and add a new source of revenue to your business. Medical professionals are turning to teledermatology to offer a fast, affordable, and effective solution to the increasing need for proactive skin care services. Integrate with DermEngine to provide your customers with an in-demand solution. 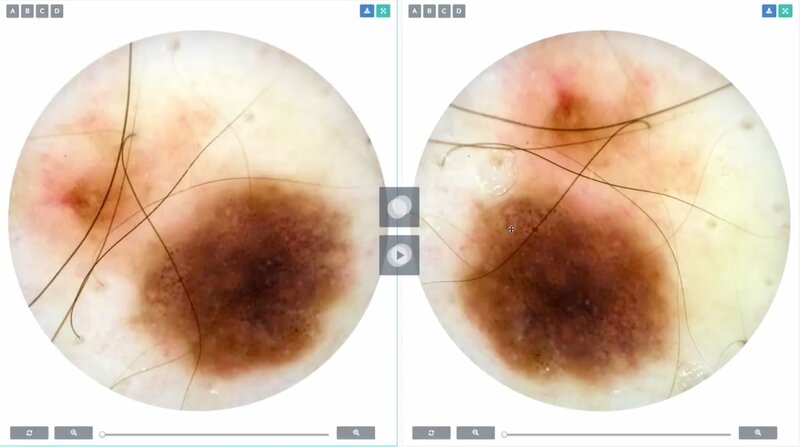 Offer customized, specialized teledermatology services to your clients; DermEngine allows medical experts to include overview and dermoscopic images and detailed patient histories to provide comprehensive, higher quality, sought-after care. Experience the best of both worlds by integrating DermEngine with your software. Complete your services by providing your customers with the latest features in teledermatology while customizing the system’s interface with your logo and colors for a personalized experience. DermEngine provides advanced teledermatology services designed to adapt to each of your clients’ unique needs. DermEngine hosts a wide variety of advanced features that simplify lesion tracking, patient management, consultations and much more. *Smart image rotation and evolution tracker. The platform also offers a networking feature that allows your clients to add colleagues to their vast network to share patient cases as well as send and receive referrals. Are you interested in providing complete telemedicine services while receiving an additional source of revenue? We encourage you to contact us so we can discuss our plan customized to your needs.